24.com – London – Eoin Morgan hopes to make a quick return from the fractured finger that has ruled the England one-day captain out of his appearance for the Rest of the World against the West Indies. 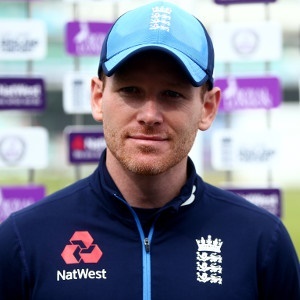 London – Eoin Morgan hopes to make a quick return from the fractured finger that has ruled the England one-day captain out of his appearance for the Rest of the World against the West Indies. It is believed the problem will sideline Morgan for seven to 10 days, meaning he should be fit to play in England’s one-day international (ODI) against Scotland at Edinburgh on June 10. Morgan’s county Middlesex confirmed he suffered the injury when he was fielding during the Royal London One-Day Cup match against Somerset on Sunday. Andy Flower, the England and Wales Cricket Board’s stand-in director, said on the ICC’s official website: “It is not a bad crack but it is bad enough to keep him out of tomorrow’s Middlesex game and the World XI game. Former Pakistan captain Shahid Afridi will skipper the World XI in the absence of Morgan.